Health science recommends 3-4 veggie and fruit intakes a day and I’m happy to say, that I totally agree with that. It’s not an insurance to never get ill, but definitely a fabulous tool to support your immune system in case it happens and to recover faster. In the meantime it serves as a great option to boost your energy level. The photos visualize two options of infinite possibilities. 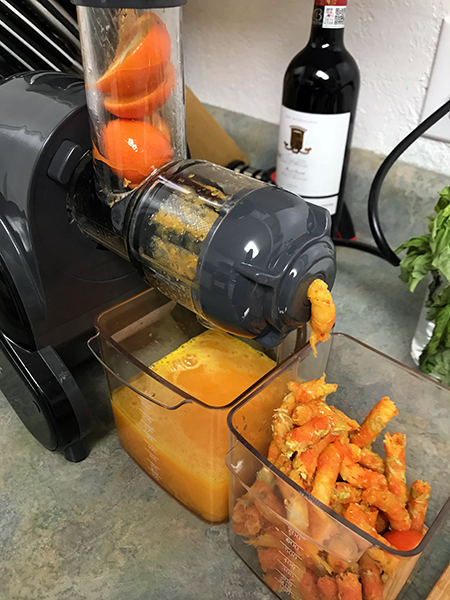 One shows our juice press squeezing out organic Minneola Tangelos. We combine the juice with lemon juice and some ginger. A very potent combination, which you can mix with some hot water and a teaspoon of raw local honey and enjoy as a soothing drink. 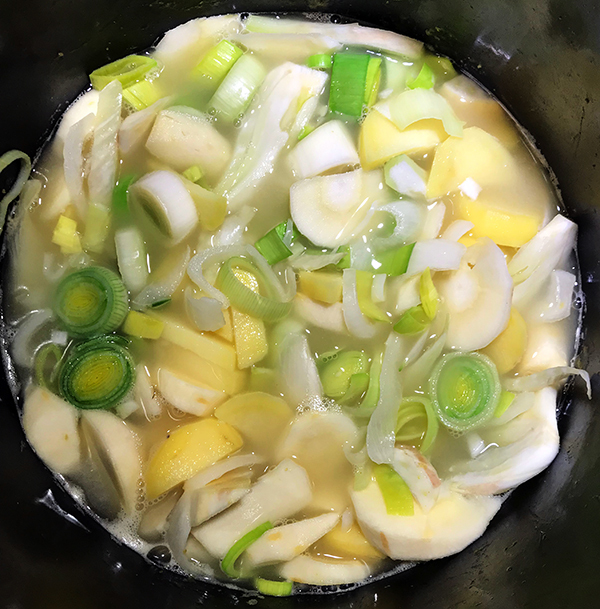 The veggie combination for the soup are fennel (Anis), parsnip, leak, onion and potato. Cooked in a veggie broth, seasoned with salt, Turmeric, cayenne pepper, then blended with a hand blender and refined with 1/4 cup cream or creme fraiche and juice of an orange. Too much on the veggie side for you? Just add seared salmon or cod to it before serving.